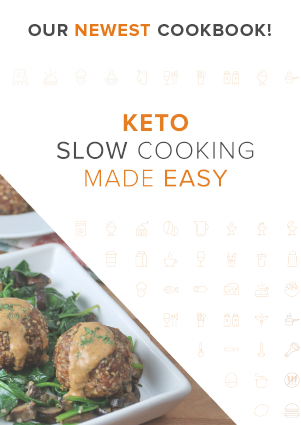 This recipe for sesame crispy beef is the keto-fied version of a classic dish found in many Chinese restaurants. 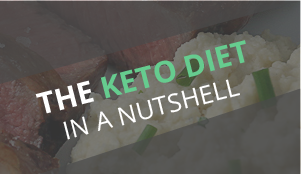 We keep it keto-friendly with the use of daikon noodles instead of rice, trading out the typical sirloin steak for a fattier cut, and using creative ways to achieve the sweet aspects. This dish, when cooked at your local Chinese restaurant, typically has some sweetness. 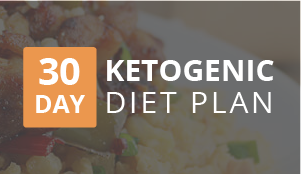 In this recipe, stevia paired with rice wine vinegar and vegetables does the job of creating a bit of sweet without compromising the carb count. Make sure that you’re not getting seasoned rice wine vinegar as it typically contains sugar and has a lot of carbs. The daikon radish noodles are crunchy, don’t need to be cooked, and take on the flavors of the beef sauce, which is delicious. They’re a really great counter-balance to the rich sauce and meat – fresh and slightly sweet, making the dish come together as a whole. 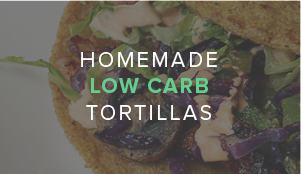 Although if you wanted to serve this with fried cauliflower rice, you could. 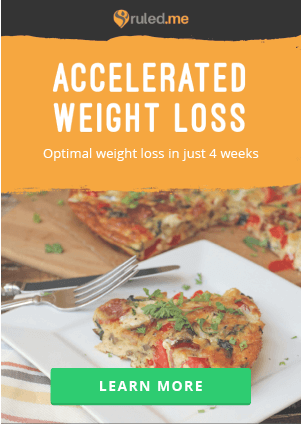 You just have to watch the carb counts as cauliflower rice can go up pretty high. 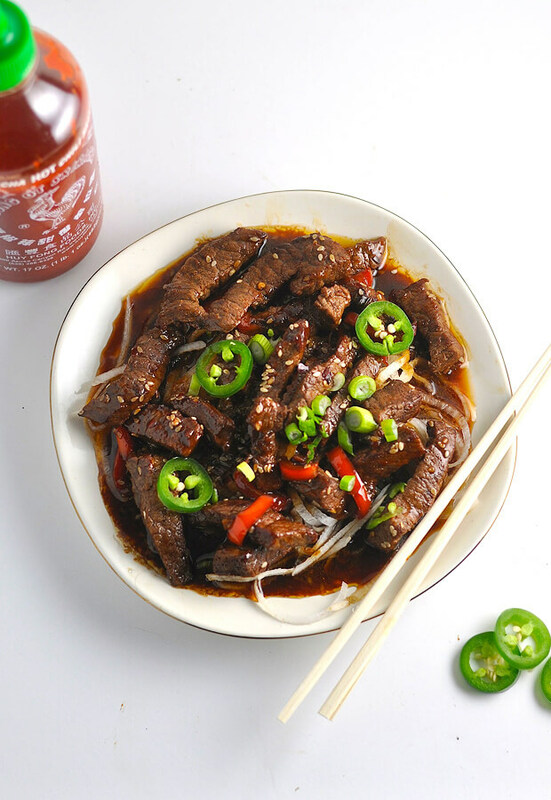 This is a great dish to make if you’re getting those hankerings for Chinese food (like I often do). I have many take-out fake-out Asian recipes on the site, so if you’re as big a fan as me, give my Sweet and Sour Chicken, Thai Peanut Chicken, Shrimp and Cauliflower Curry, or General Tso’s Chicken. 1. Begin by preparing the daikon noodles for this recipe. 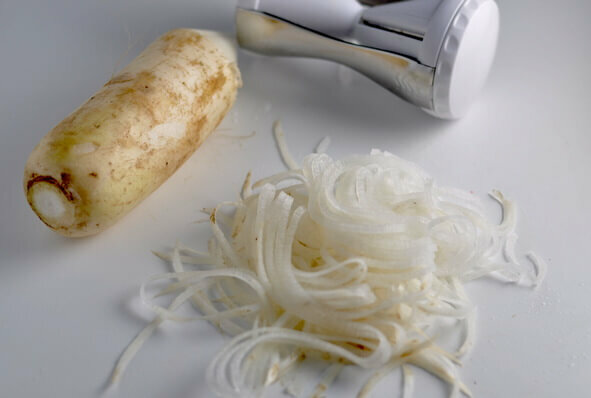 Using a spiralizer, slice the daikon radish so that you’re left with noodle-like strings. Once you’ve peeled the entire daikon radish, soak the daikon noodles in a bowl of cold water for 20 minutes. 2. Chop ribeye steak into small strips, about 1/4″ in thickness. 3. 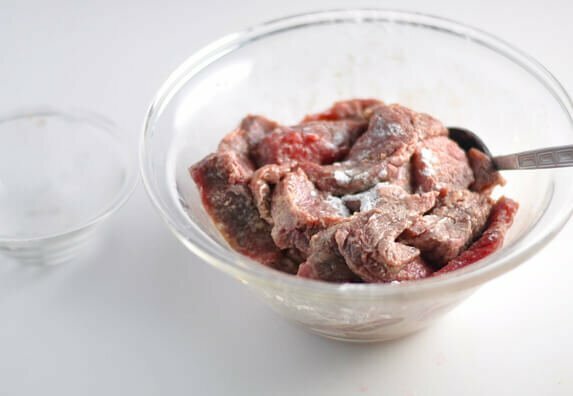 Place the ribeye steak in a bowl and pour the coconut flour and guar gum over the meat in order to coat all the pieces. 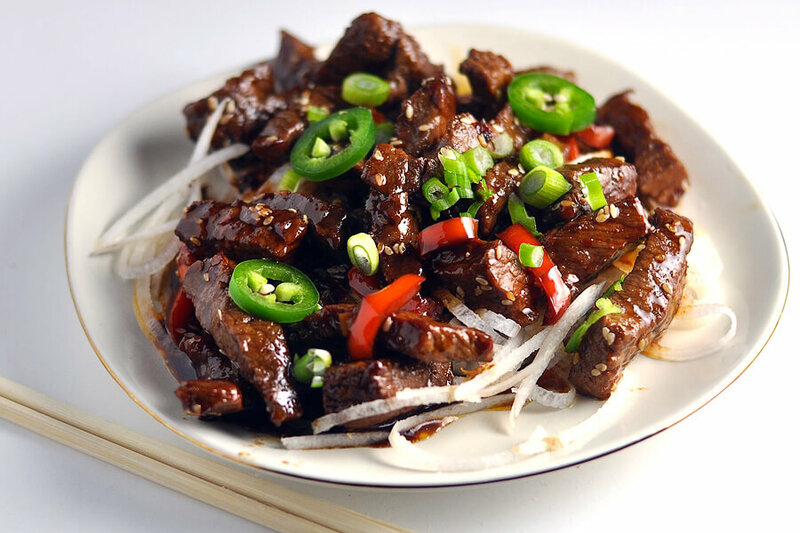 This flour will act as a light breading in order to create the crispy beef texture. Allow it to rest for 10 minutes. 4. Prepare all vegetables. 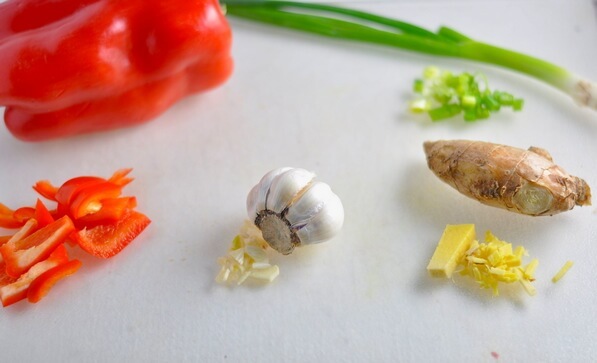 Slice Red Pepper into thin strips, jalapeno into thin rings, green onion into small pieces, and mince the garlic and ginger. 5. In a wok pan or large skillet, heat coconut oil over medium heat. Once hot, add garlic, ginger, and red pepper strips. Fry for 2 minutes until aromatic, taking care not to burn. Add the soy sauce, oyster sauce, sesame oil, rice vinegar, stevia and sriracha. Whisk to combine and allow to cook down for 1-2 minutes. Then add sesame seeds and red pepper flakes to sauce mixture and stir. 6. While vegetables are cooking, heat 1” of cooking oil in a large pot or fryer over high heat until it reaches 325 degrees F. Once the oil reaches the proper temperature, add beef strips, making sure not to crowd the pot. With this shallow fry technique, you will need to turn the meat in the pan once to allow both sides to cook evenly. Fry for 2-3 minutes on each side, or until the meat begins to develop a deep brown crust. 7. 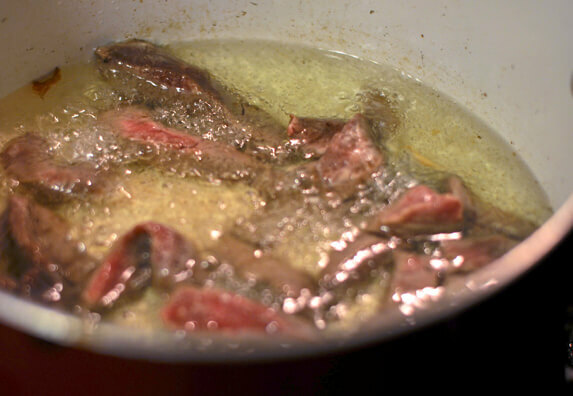 Remove the beef from the oil and place on paper towels to absorb some of the oil. 8. 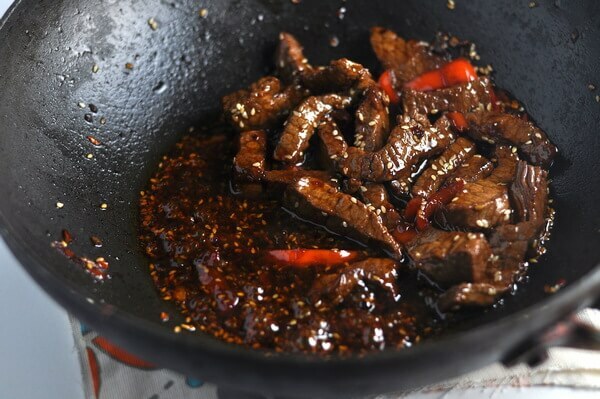 Next, drop the cooked crispy beef into the wok pan containing the sauce and stir to combine. 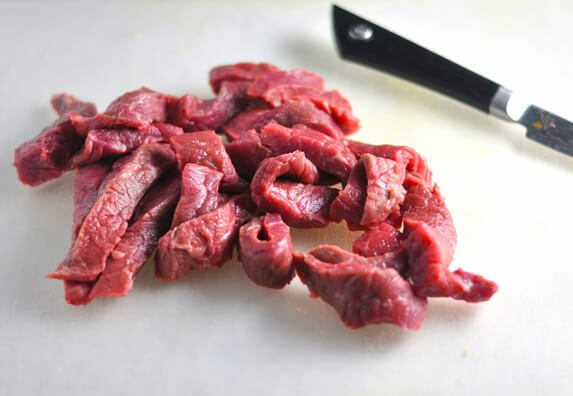 Cook for an additional 2 minutes to develop the flavors of the meat and sauce together. 9. Drain the daikon radish noodles and divide them onto each serving plate. 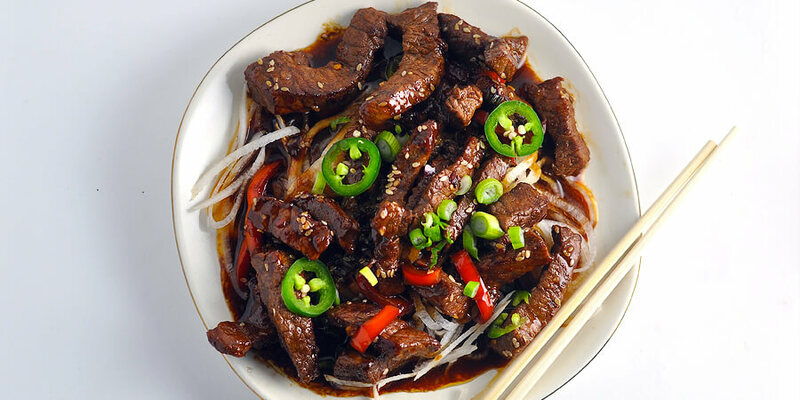 Top each with a portion of the sesame beef. Garnish with jalapeno slices and green onion. 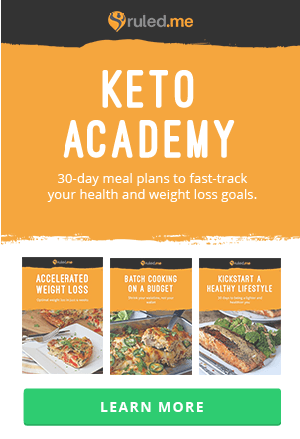 This makes 4 total servings of Keto Crispy Sesame Beef. 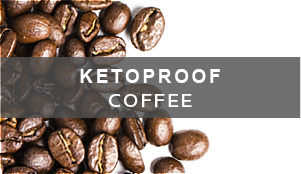 Each serving comes out to be 412 calories, 31.3g Fats, 5g Net Carbs, and 24.5g Protein. Use a spiralizer to slice the daikon radish into noodle-like strings. Soak the daikon noodles in a bowl of cold water for 20 minutes. Chop ribeye steak into small strips, about 1/4" in thickness. Coat with coconut flour and guar gum. Let sit for 10 minutes. Prepare all vegetables, then heat oil in a wok. Once hot, add garlic, ginger, and red pepper. Fry for 2 minutes until aromatic. Then, add the soy sauce, oyster sauce, sesame oil, rice vinegar, stevia and sriracha. Whisk together and cook for 1-2 minutes longer. While vegetables are cooking, heat 1” of cooking oil in a large pot until it reaches 325 degrees F. Add beef strips, making sure not to crowd the pot. Fry for 2-3 minutes on each side, or until the meat begins to develop a deep brown crust. 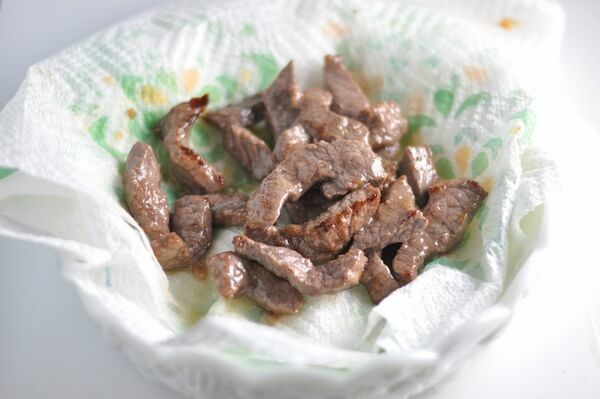 Remove the beef from the oil and place on paper towels to absorb some of the oil. 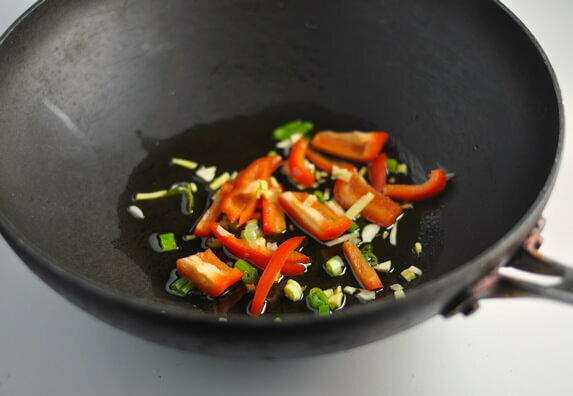 Place in wok and stir together with vegetables and sauce. Cook for an additional 2 minutes. Drain the daikon radish noodles and divide them onto each serving plate. Top each with sesame beef.